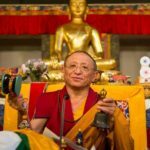 Meditation master and renowned teacher Chokyi Nyima Rinpoche has been teaching audiences around the world for the past 25 years. 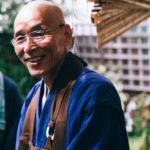 Marked by warmth, humor and wit, his teachings offer a unique opportunity to directly connect with the Buddhist tradition in a fresh, vital way that is relevant to our lives today. 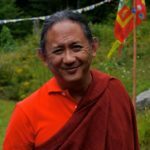 The eldest son of Tulku Urgyen Rinpoche, Chokyi Nyima Rinpoche was born in 1951 in Eastern Tibet. 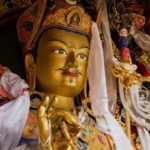 At the age of 18 months, he was recognized as the seventh incarnation of the Drikung Kagyü lama Gar Drubchen, a Tibetan siddha and a spiritual emanation of Nagarjuna, the second-century Indian Buddhist philosopher. Shortly before the Chinese invasion of Tibet in 1959, Rinpoche left with his family for Sikkim. 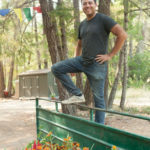 From the ages of 13 to 24, he studied in the Karma Kagyü, Drikung Kagyü, and Nyingma traditions under the guidance of such eminent masters as the 16th Gyalwa Karmapa, Dilgo Khyentse Rinpoche, and Tulku Urgyen Rinpoche. He achieved the degree of khenpo at a very early age. In 1974 he left Rumtek to join his family in Boudhanath, Nepal, where, at the command of the 16th Karmapa, they established Ka-Nying Shedrub Ling Monastery. Installed as the monastery’s abbot in 1975 by the Karmapa, Rinpoche followed the Karmapa’s advice to turn his efforts towards instructing Western practitioners. Honing his English language skills, he began to offer weekend teachings to travelers. Over the years this has developed into an annual 10-day. Rinpoche’s Saturday morning teachings at the monastery remain a popular event, drawing dozens of visitors each week. He founded the Rangjung Yeshe Institute for Buddhist Studies in 1981. 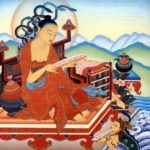 Rinpoche is also the founder of Rangjung Yeshe Publications, with more than 40 Buddhist titles, including his own books: Union of Mahamudra and Dzogchen, Song of Karmapa, Bardo Guidebook, Indisputable Truth, and Present Fresh Wakefulness. Click here to read a chapter on “Meditation” from Indisputable Truth. Click here to read a chapter on “Introductory Teachings” from Present Fresh Wakefulness. 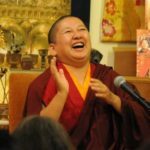 Click here to read “Natural Happiness,” an article by Chokyi Nyima Rinpoche published in the January 2007 issue of Buddhadharma.